PEKAN (NNN-Bernama) – Tengku Abdullah Sultan Ahmad Shah, who is currently the Regent of Pahang, will be proclaimed the central state’s next Ruler at 11am tomorrow at Istana Abu Bakar here. The announcement was made by the Tengku Muda Pahang who said the proposal to appoint Tengku Abdullah as the new Sultan was made because his father Sultan Ahmad Shah is gravely ill.
Once he ascends the Pahang throne, Tengku Abdullah will be in the running to be the 16th Yang di-Pertuan Agong (Malaysian King), succeeding Sultan Muhammad V of Kelantan, who resigned on Jan 6 this year. 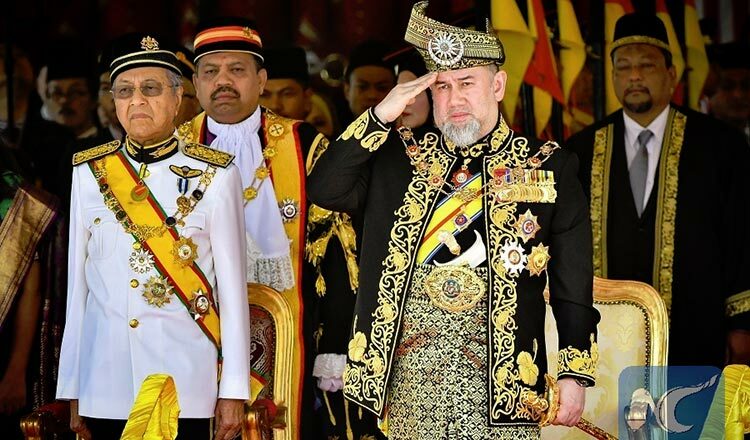 The Council of Rulers is scheduled to hold a special meeting on Jan 24 to choose the next King, following the resignation of the Sultan Muhammad V.
After the Sultan of Kelantan, the next in line in the rotation of the nine Malay rulers are the Sultan of Pahang, Sultan of Johor and Sultan of Perak, successively.